As you enter this stylish 2-bedroom apartment you’ll find yourself drawn toward the private balcony and its tranquil leafy outlook. Off the beautifully furnished open plan lounge, dining, kitchen area are two spacious bedrooms including a lovely work station in main suite. Fully equipped kitchen and laundry. 2 spacious bedrooms with built in wardrobes. Ensuite bathroom off main and second family bathroom. Free access to Netflix and unlimited WiFi. 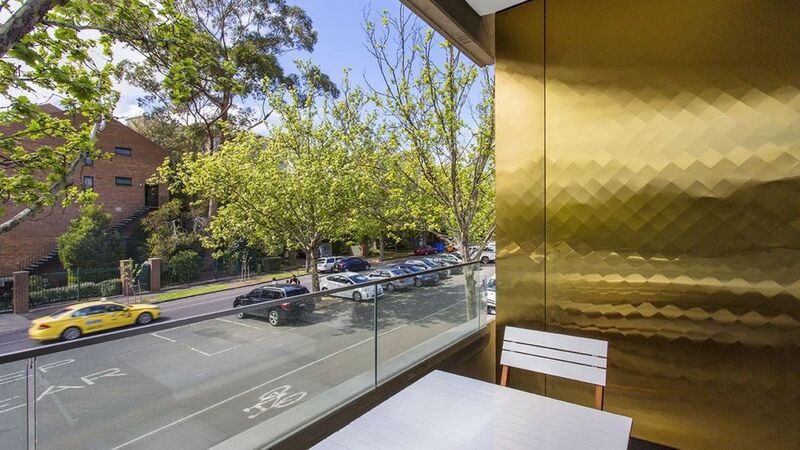 Perfectly positioned on the city’s edge, this surprisingly peaceful location is a short stroll to iconic Lygon Street, and easy access to the CBD, Exhibition Buildings, Melbourne Zoo, the airport and many of Melbourne’s best eateries. Despite a few cleaning issues, we liked the unit and loved the location. The unit was well equipped and the undercover car park was a great bonus. Comfortable apartment, great location being about a 5 minute walk to tram to city or supermarket/shops/cafes on Lygon Street. The only disappointment was the lighting - when we arrived 2 lights in the lounge weren't working and neither was the light in the rangehood. We advised the owners twice about this (including verbally) and received no communication/fixed lights (over a 4 night stay). Cooking with a head torch was not what we intended to be doing on this holiday. The Espresso apartments were well furnished with modern décor and kitchen facilities. I was very happy with the location, it was quiet and walking distance to pubs and cafe's. The hosts were very accommodating provided prompt assistance when required. Great place to stay. Everything you need, close to Lygon st and the city! Beautiful apartment but not a secured place. Our car was broken into while parked at the apartment’s secured carpark with many items stolen from car’s glove & boot (out of sight to anyone walking by). And host which is a Co (I found out later) didn’t do anything for us to help. A few days after checking out, they even contacted me to ask for their lost key sensor (fob) which I was never given in the first place. Makes me feel that they are not getting their act together & there are loopholes with their management that may have caused the theft in the first place. And I haven’t even mentioned about the upturn nails which I stepped on within the carpet at the time of arrival yet.